My new saltwater box needed some baitfish and I found a box of Allen SW001 that is quite short and have a nice open bend that I like in this pattern. 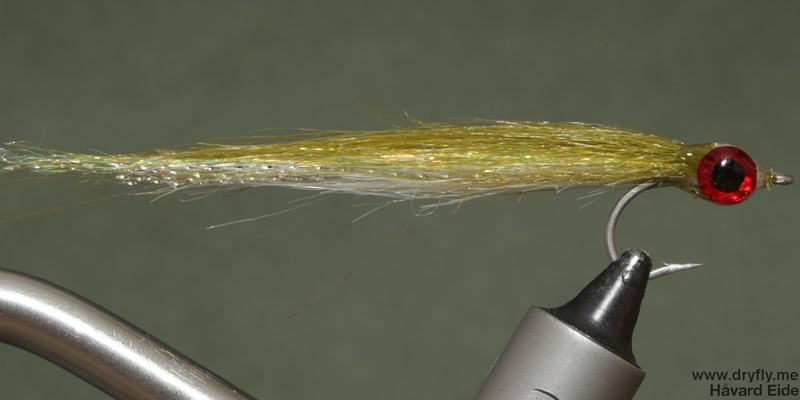 When tying these long hairy baitfish you can use a range of material: bucktail, fox, templedog or craft fur as I have done here. 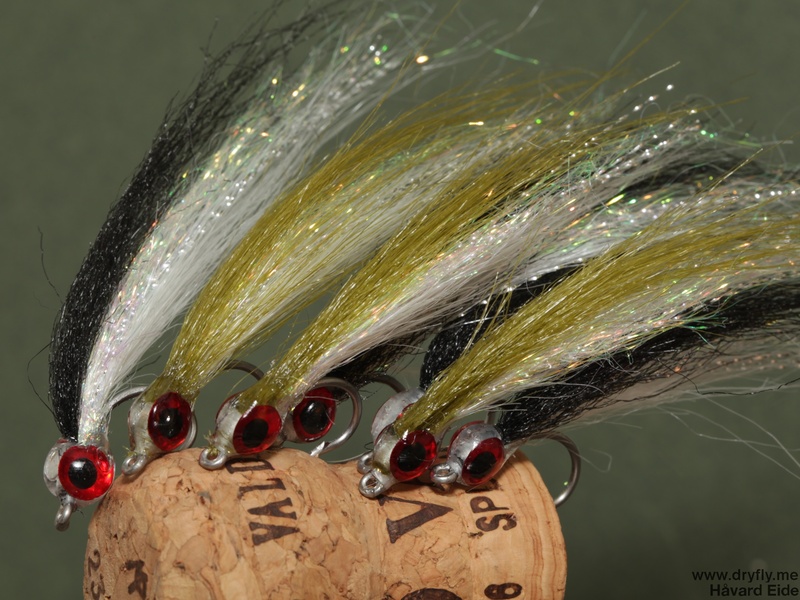 This is a really quick pattern to tie up, and most of it is actually spent curing the bugbond! The primary colors I fish with is green and black, but I have some blue, yellow and red that I will give a go later on. The eyes are attached with superglue and then some layers with bugbond around to form the eye, they are still a bit tacky, so I want to try out some other UV resin soon to see how they behave.